Мультиплеер для GTA-SA ВСЕ ВСЕ ВСЕ КАЧАЕМ МУЛЬТИПЛЕЕР ДЛЯ GTA-SA, это удовольствие весит (2.1 мб) Скачать ---------------------------------------------------- gtaTournament San Andreas 0.1a - Server+Client ---------------------------------------------------- Thanks for testing gtaTournament and hosting a server for others. Please remember that you need to open a port for TCP/IP (2085 by default) to make connecting possible. More information can be found at faq.gtat.org Have Fun! Your DracoBlue & gtaT-Team ---------------------------------------------------- Homepage : http://gtat.org VCScripts : http://gta.dracoblue.net ---------------------------------------------------- Disclaimer THE SOFTWARE IS PROVIDED “AS IS”, WITHOUT WARRANTY OF ANY KIND, EXPRESS OR IMPLIED, INCLUDING BUT NOT LIMITED TO THE WARRANTIES OF MERCHANTABILITY, FITNESS FOR A PARTICULAR PURPOSE AND NONINFRINGEMENT. IN NO EVENT SHALL NORMAN WALSH OR ANY OTHER CONTRIBUTOR BE LIABLE FOR ANY CLAIM, DAMAGES OR OTHER LIABILITY, WHETHER IN AN ACTION OF CONTRACT, TORT OR OTHERWISE, ARISING FROM, OUT OF OR IN CONNECTION WITH THE SOFTWARE OR THE USE OR OTHER DEALINGS IN THE SOFTWARE. I have to add such Disclaimer, because I am coding on the gtaTournament just for fun, and do not want to have problems with law. ПЛЮС СКРИН!!! do not want to have problems with law. Уважаемый KeeJay! Клёво скопировал, а перевести, забыл?:). Люди, кто уже играл по диалапу, скажите - она жутко тормозит? Ты - выпускник университета? Да ты его выкидыш! Ну не знаю. У меня максимум - 16,8. Я раньше читал про ограничение минимального трафика.Вот поэтому и спросил. Кто играл в него, можете помочь?После заставки у меня вылетает на рабочий стол! Я уже играл по инету, правдо игра постоянно вылитает Подскажите, что мне делать, у меня игра не тормозит, идёт хорошо, а другие игроки застревают! Всем здарово! Я вот скачал gtaT-sa-0.1a_client и gtat-01a-server. Запустить по сети получилось, вот только игроки дёргоются и нет никакой живности(людей, транспорта). Может вы подскажете чё мне делать-то надо! Так и должно быть. Запусти в сети один сервер и много клиентов - вот и вся живность :) Кстати, для gtat публичные серверы есть какие-нить? Извини конечно, но прямую сцылку немог бы дать?! Слушайте всё: 1.Кто настроил - просьба рассказать сдесь. 2. Договариваемся когда играть и в каком районе - и все шпилим в СА. З.Ы. Никто не знает какова должна быть скорость чтоб итрать по инету? *vcs: added wait command. Waits for x seconds, or with "-1" as param for ever. *vcs: added PLAYERINCIRCLE. Creates a list with all players next to a point in a radius. *vcs: added TAB as seperator, means that not only whitespaces and newlines can be used between commands. *vcs: Added more useful Error messages . It shows line and pos of error which occured and tries to tell you what was wrong. *vcs: allowed '''.''' (Dot) and ''',''' as decimal delimiter. *vcs: fixed error with LAPPEND, LPUSH when an empty element was added. *vcs: added hotkeyevent ON_PLAYER_STATS when client press STATS-Key. 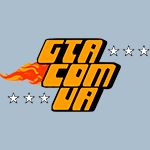 *vcs: added STREETRACE-GameMode! Press second hotkey (in normal case it is PAGE UP) and wait 10 seconds for your opponents, when they are there you'll have to race to a random point on the map. Who will be the first one there? *vcs: added function called ATOM and ATOMEND. If atom is called, its the thread's turn until atomend is called. Be careful with this powerful command! *vcs: added LKICK. Useful to kick one item out of a list. *vcs: CHANGED EVENTS Parameters, ON_PLAYER_LEFT has now $id and $nickname, because you can't use getplayersnamebyid in this event. *fixed bug, that clients loggedoff with error, and still filled one slot on server. *added multilanguage support for client. *added special words ([HOTKEY1],[HOTKEY2],[HOTKEY3],[CHATKEY],[STATSKEY]), which can be used by vcs-scripts and will be exchanged in client's output with Description of the keys. *added carcolors, no black cars anymore. *Eh! Fixed randomcolors for Police cars, so they don't get pink anymore. *Using carcols.dat for colors now . *autorun.vcsscript: added /time and /aboutcar and some carcolor commands for server admin. *autorun.vcscript - fixed sanchos's missions, now marker disappears, when client loggsoff, added some more atom-sections, now the script is much faster. *uses F10 to toggle between visible and hidden chat. *added NEW vcs command, set_centertext, if displays what you give as argument in big letters on clients screen. *Problem solved! main.scm : release_model can be launched after create_car, so no release_model when desctruction needed. Did it ... no crash in ~ 1 Hour , then I need to go on coding ^^. *added, choose if marker is visible on radar, visible all over map and so on . *added to autorun.vcscript marker (race-flag and such things) for streetrace and sanchos. *added paynsprays to autorun.vcscript, for just $20 you can choose a new random color for your bike, car, whatever! *added new vcs-commands, set_player_health and player_health . *added some burger and pizzashops, where you can buy some food, and maximize your health again. *added some medic-stations, where you can buy some medicine, and maximize your health again. *added health info to /who-command in admin-area. Press Hotkey2 (Page Up) and you'll start a streetrace. All participants drive to this new marker on map. After 10 Seconds the streetrace starts. The counter on your screen counts down from 3, when its at 0 a new marker appears (race flag). Who will be first? Press Hotkey1 (ALT) and you have to carry your car to one of sancho's stations. If you get there, the server will give you some money for this great work and save your highscore. Drive to a marker on the map, and press Hotkey3 (PAGE DOWN) if you have enough money, you can buy some food or medicine to put your health back on full health..
Делитесь своими впечатлениями здесь в этом топике, только НЕ ФЛУДИТЬ!